ORLANDO, Fla., August 17, 2018 – The Chief U.S. District Judge of the Middle District of Florida appointed Mark L. Horwitz, of the Law Offices of Horwitz & Citro, P.A., to the merit selection panel that will recommend candidates to succeed Magistrate Judge Karla A. Spaulding. This prestigious group is comprised of one judge, four lawyers, and two nonlawyers. Before the appointment or reappointment of a U.S. Magistrate Judge, the District Judges, by majority vote, appoints a merit selection panel to review all the applications to become a judge, and recommend to the court lawyers whose character, experience, ability, and commitment to equal justice under the law fully qualify them to serve as a U.S. magistrate judge. The order appointing Mr. Horwitz to the panel can be found here. I am honored by the district judges' and Chief Judge Steven D. Merryday's confidence in me and will work hard to ensure the district judges have applicants committed to equal justice under the law and fully qualified to serve as a U.S. magistrate judge. Mark L. Horwitz is the founding partner at the Law Offices of Horwitz & Citro, P.A., where he focuses on representing individuals, executives, and legal entities in criminal, civil, and administrative matters, including grand jury, IRS, SEC, and FTC investigations. Mr. Horwitz’s recent engagements include litigation and internal investigations involving the False Claims Act, the federal health care fraud statutes, and violations of the securities laws. Mr. Horwitz graduated with honors from the University of Florida College of Law and was made a member of the Order of the Coif. He began eight years of service in the U.S. Army Reserve, eventually obtaining the rank of captain. In 1973, Mr. Horwitz became an Assistant United States Attorney for the Middle District of Florida, defending the U.S. in civil actions and prosecuting federal criminal offenses including mail and wire fraud, tax evasion, healthcare fraud, kidnapping, environmental crimes, and fraud against the government. In 1983, Mark opened his private practice as a criminal defense attorney, emphasizing white-collar defense. 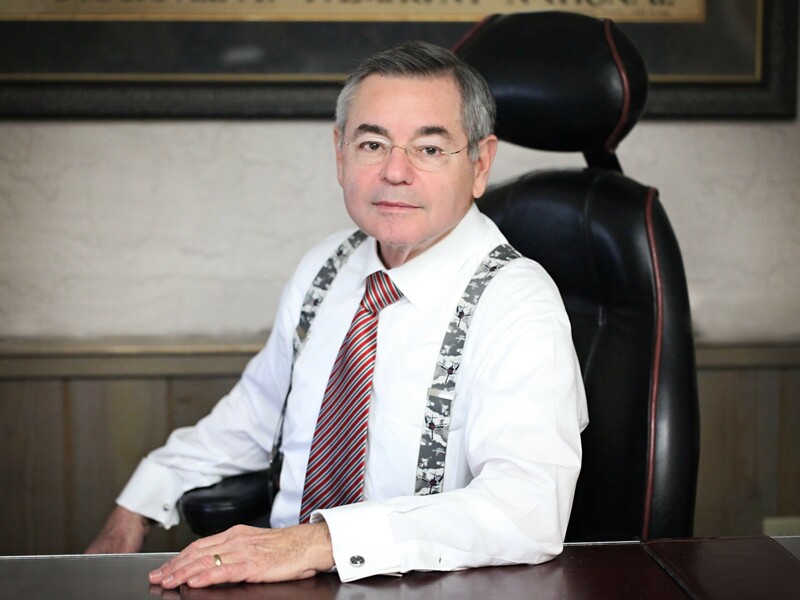 His breadth of experience is reflected in his private practice and his prestigious reputation in the legal community and trial abilities resulted in his selection to the American College of Trial Lawyers, which is widely considered to be the premier professional organization in America for trial lawyers. Mark devotes a considerable amount of his time to the legal community and has served on the Criminal Law Certification Committee of The Florida Bar and was a member of the Florida Supreme Court Committee on Standard Criminal Jury Instructions. He is currently serving on the Ninth Judicial Circuit Professionalism Panel and he is a past president of the George C. Young American Inn of Court receiving the 2014 James G. Glazebrook Professionalism and Service Award; Mark continues to serve as a director and officer of the Inn. Federal Criminal Defense Law Offices of Horwitz & Citro, P.A. Mark L. Horwitz and Vincent A. Citro are board-certified as criminal trial specialists by the Florida Bar and the National Board of Trial Advocacy (NBTA). Less than 1% of all Florida attorneys acquire this certification in criminal law, and even fewer are certified by the NBTA. Both are former federal prosecutors with more than 45 years of combined legal experience and are dedicated to providing an effective and vigorous criminal defense. The firm accepts cases in Orlando, Tampa, and throughout the United States. They have handled criminal investigations and cases in federal courts throughout the country including Washington, D.C., New Jersey, Pennsylvania, Georgia, New York, Massachusetts, Illinois, Minnesota, Arizona, Colorado, and California. With a proven track record of success in notoriously complex and tough cases, the Law Offices of Horwitz & Citro, P.A. has the knowledge and experience to protect your legal rights and your freedom. The firm is devoted to vigorously defending clients facing criminal investigation or prosecution from state or federal authorities. If you’re facing state or federal authorities in complex criminal issues, you need experience, expertise, and hard work in your corner. The Law Offices of Horwitz & Citro, P.A. is ready to help answer your questions and defend your rights. Contact us immediately following an arrest or if you learn you are under investigation. Call to request your consultation now at 407-901-5852. Source: Law Offices of Horwitz & Citro, P.A.